From the bottom of the world direct to you come my holiday greetings for the year 2002. The year 2001 has proved to be a very enlightening and eventful one. Every now and then we all take a moment to reflect on our past and see how various events have shaped our lives. Often times I wonder where my path in life would have gone if I had taken that other job, paid more attention in school or smooched that cute girl in my geology class. I was leaning up against a helicopter this morning refueling it for a flight up to the Dry Valleys of the Trans Antarctic Mountains. As the gallons flowed by I began to wonder, how did I end up here with this gas nozzle in my hand. What had I done in the past that lead me here or what didnt I do that kept me from holding a gas nozzle at the PumpnGo in Nebraska? These are but a few of the dilemmas I have been faced with recently. I became intrigued and a bit obsessed with this puzzle. Once the ground settled and the air calmed from the departing helicopter I sat down for some deep thinking. It took quite a while to flip through my mental photo album for some clues. The more I probed the more confused I became. I was discovering that certain events from my past were easily recalled with incredible clarity while others would flicker for only a brief moment. These flickering images were the ones that perplexed me. With my elbow on my knee, I drummed my fingers against my forehead, think, think, think. I knew the answer I was looking for must be hidden within these images. I was concentrating so hard that the snow around me began to melt. With the speed of the returning sun to the Antarctic Circle after the Equinox, clarity began to seep from within my cranium. Two memories began cycling through my subconscious at increasing intervals until they were the only ones I could see. For some reason these memories had been deeply suppressed, as if they had been intentionally hidden. I analyzed each image meticulously, looking for some clue or answer. The first was from 1989. This was a lost memory from a research expedition to the Red Sea. I remember the whole trip in great detail except for this moment. 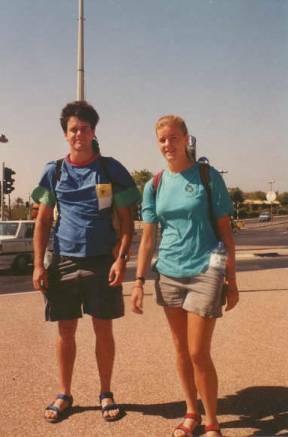 Beth and I had just returned to Israel from Egypt, which explains our disheveled appearance. Everything about this day seemed normal, however I do not remember and cannot explain the large protrusion sprouting from my head. I didnt think much of it until I began noticing other moments from my past which also contained these oddities. 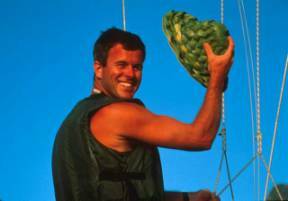 The second image in the loop was from the summer of 1998 while I was working for Broadreach in the Caribbean. Even though the events were years apart and from different sides of the world they both contain similar protruding anomalies. What was the correlation between the two and what was that sticking out of my head? I wrestled with these images trying to make a connection. As I struggled with my thoughts the images began to dim and then completely vanished. I was left bewildered until a new vision began to immerge. This memory seemed to pause as if it were contemplating weather or not to reveal its self. After a few moments of hesitation the image reached a conclusion and filled my mind. I could easily identify the location of this new vision. 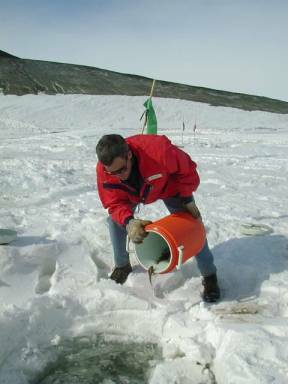 McMurdo Station with Mt Erebus in the background cannot be mistaken for any other place. 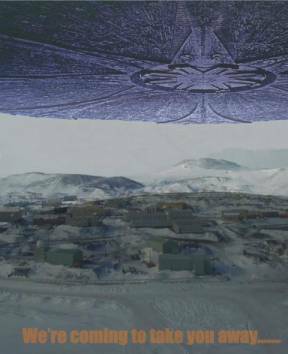 The disturbing unknown was the object hovering over McMurdo. Where did this memory come from and how was it related to the protrusions from my head? Before I could process these questions I heard a voice. It wasnt a true voice we normally associate with but more the acknowledgement of new words within my sub-conscience. We are coming to take you away. When you combine this image with those words an overwhelming flood of new images and words should have undoubtedly followed. No mater how hard I tried I could not detect a hint of either. I did however gain an odd sense of understanding. I now possessed knowledge and insight for which I did not achieve through personal experience. Conscious experience anyway. Somehow I came to understand and except that during the summer of 1989 I had been a guest of this ship. 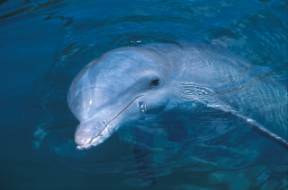 While working in the Red Sea I had been contacted and ultimately contracted by the Inter Galactic Science Foundation. Their mission statement was never made clear to me, or why I had been chosen. My only understanding was that I had become their agent on Earth. On a schedule that I was not privy to, my experiences, interactions and memories were being transferred via a retractable cranium link from my head to the Inter Galactic Research Ship. To this day I have only that one visual memory of the Starships existence. This one is enough though as it has been permanently imbedded into my memory. I can also say the same for a constant pain in my lower spine. For the past 3 years the Foundation had been scouring the earth trying to locate me. After a visit to a hospital in Costa Rica for a dislocated elbow I had unknowingly become misplaced. Repeated exposure to low quality x-rays had damaged the homing devise the Foundation had implanted in me. The irony of that visit was the doctors diagnosis. Senior, you suffer from internal trauma the truth was more than he could have ever imagined. I have no idea how the Foundation reacquired me in Antarctica last year. For that mater I never knew I was lost. Determined never to lose me again I was fitted with a new transmitter. As you can see this one was a bit obtrusive and uncomfortable. I think the Foundation must have contracted out to the lowest bidder back home. This unit had not been designed with a lot of forethought for its intended host or environment. Fortunately for me the crew of the ship was able to jerry rig a new tracker from their waste sector. More comfortable and less conspicuous I was again able to interact with the community without questioning looks. The Inter Galactic team took two months to download and analyze the data I had stored since my disappearance in Costa Rica. As soon as the initial report was compiled the board of directors gathered to determine weather or not funding would continue for the Earth Project. My observers were very pleased with the results collected to this point and decided to fund the project for another year. By the end of February the cranium link was reconnected and downloaded my new project objectives. I suppose this answered my question as to why I was leaning up against the helicopter this morning. I had been chosen to be a field agent by the Inter Galactic Science Foundation to gather information on Earth. With their support I have been positioned in jobs that provide me with the greatest opportunity to observe different cultures and regions of the world. 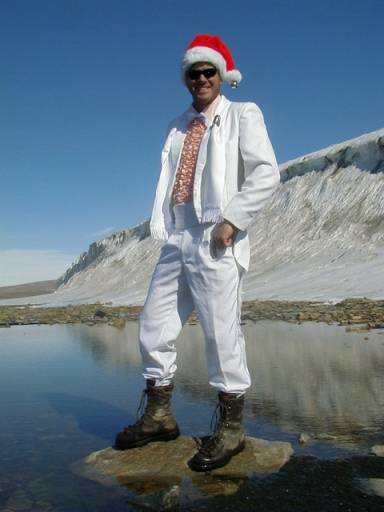 During the 2001 season I continued my undercover work in Antarctica. When my season ended I was relocated to New Zealand to conduct a fact-finding mission for the Foundation. 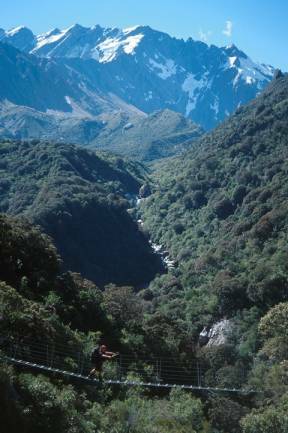 My directive was to gather information of its mountainous regions on the South Island. I spent 2 months hiking and exploring this great area. New Zealand has to be one of my favorite travel destinations. The people are friendly and the recreational opportunities are endless. What a great place to defrost after months on the ICE. Following my travels through New Zealand I stopped in Western Samoa for some island time before returning home. Amazingly I managed to catch up with everyone in the family, which is a challenging task for a Carpenter. Following a couple of weeks on the homestead I returned to Broadreach for my 6th season. I am now convinced that the Foundation had arranged this job as it provides a good cover and does not eat into their grant money. This year I had the job I always dreamed of. I meet up with three different trips to take photographs for our new publications. My first destination was Australia. After a day in Sydney we flew to Darwin for an extended foray into the Outback. We rock climbed, hiked, ate native Bush Tucker, canoed Katherine Gorge, explored canyons with water falls and learned about the traditional inhabitants, culture and traditions. From the rocky center we traveled east to the lush tropical Queensland coast. Our adventures continued with hikes through the Atherton Tablelands, rafting on the Tully, sea kayaking through the warm waters and SCUBA diving the colorful Great Barrier Reef. When we reached the halfway point of 2001 I celebrated my 33rd lap around the Sun. This was an amazing day for me. I awoke as the sun rose from the South Pacific, a body of water that I would see from every angle today. Sadly I had to leave this group in order to join the crew on the Fiji Vanuatu Quest. I flew from Cairns across the Pacific to the Fijian island of Taviuni. My new group was out SCUBA diving when I arrived. While waiting I wiggled my toes in the sand with a big smile. It was not long before the first diver popped his head out from the water. Bursting forth with stories of all the great sights they had seen on the dive made me eager to join them for the next one. Later that night as I watched the sun slip into the sea toward Australia I wondered what adventures I would encounter during my next annual orbit. While in Fiji we explored the island extensively above and below the water. I am sure the Foundation was pleased. Among the highlights were jungle hikes, swimming in waterfalls, kayaking off the shore, and meeting the wonderful people who call this paradise home. Our next paradise lay to the west on the historically rich island group of Vanuatu. I knew very little about this country before I arrived. I learned and experienced more here than I ever imagined. I keep questioning how much involvement the Foundation had in incorporating this nation into my destiny. The bulk of our time was divided between two islands in the group. Espiritu Santo to the North and Moso Island off the coast of Vanuatus main island of Efate in the south. 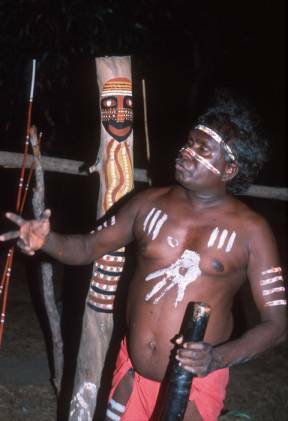 On Santo we set up base in Luganville. During the Second World War this small harbor became a major outpost for the US Pacific Fleet. For us it provided some amazing wreck diving and historical exploration. During the war the transport ship SS Coolidge struck an underwater mine as it entered the harbor to deliver troops and needed supplies. The Coolidge was rammed ashore by the captain and the crew ordered to abandon ship. With in an hour the Coolidge sank to the sea floor with all of its cargo. Amazingly there were only two people who lost their lives during the catastrophe. We spent many days diving on the wreck and nearby coral reefs. One of the most amazing dives of my life was on this wreck. As the sun set one evening we too slipped below the surface for a night dive of the Coolidge. Sinking into the darkness we could see the outline of the bow, deck cranes and eventually the cargo hold that we were to enter. Once inside we settled on to the tracks of a military tank and waited. Our eyes slowly adjusted to the darkness and then became aware that not every thing here was dark. We had embarked on this dive to see the flashlight fish that inhabited the ship. I still find it difficult to describe the thousands of iridescent blue lights that danced through the submerged passages ways and rooms of the wreck. As with Fiji our time here was divided between the wonders above and below the water. On Santo we were fortunate to be invited to another native village. Here we learned about the traditional customs and lifestyles of the indigenous people of Vanuatu. Our learning and diving continued as we relocated to Moso Island. 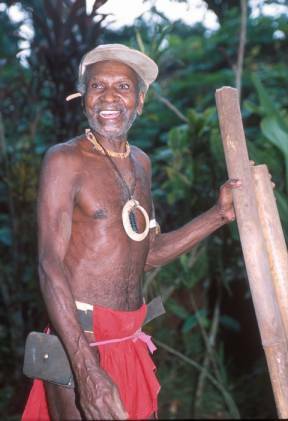 The chief of this island invited us to help in the construction of a traditional outrigger canoe. Over the course of a week we transformed a log into a boat. From this canoe jellyfish would be collected to feed baby sea turtles that were being raised on the island in an effort to stem the decline of local populations. Sooner than I had desired the day came for me to leave my new friends of the South Pacific in order to catch up with my last group in Honduras. The journey was long but the rewards were numerous. We explored new jungles and rivers while learning about the history, culture and natural environments of Honduras. 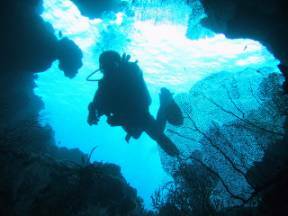 On the island of Roatan our diving adventures began. This local chief greeted us with a warm smile and invited us to swim through his underwater kingdom as his guest. Just about out of breath from all the incredible experiences I returned home. After a few days of rest I was back on the road. This time I ventured off as Uncle Dave. I joined Jan and her crew for a trip to the Gaspe Peninsula of Quebec. We feasted on French food under the stars while seeking out all the prime picnic spots and playgrounds in the province. When I returned to the States the entire Carpenter Clan gathered to celebrate the beginning of a very special journey, Sharon and John wedding. Having us all together is a rare yet adventurous event. As the year wound down I found myself back in the South Seas. These southern seas were not like any of the others I had visited during the summer. Just off the coast of the Ross Island Resort and the town of McMurdo the sea was silent and frozen. For a brief moment this quiet was disturbed as my US Air Force C-141 gently landed on the solid sea. I am back in Antarctica for another season of exploration and discovery. This afternoon I can let my mind rest, as I now know why I have been hanging around here with this fuel nozzle in my hand. I guess my only question now is what sort of samples have I been collecting and storing in this freezer. Wishing you all the best on your adventures this year and beyond.